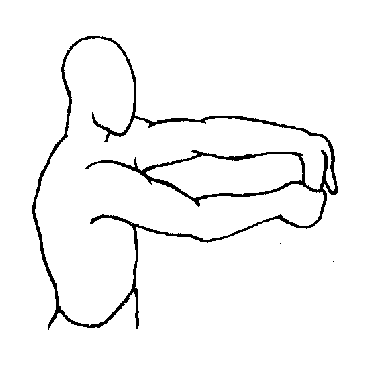 The elbow is the second most common injury in golf. 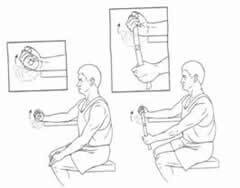 It is typically caused by a poor golf swing where the right handed golfer over-swings with the right hand, or just poor overall mechanics. 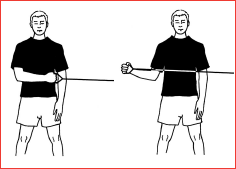 Warm up with stretching and practice swings before your golf round. 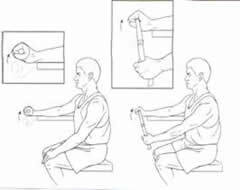 Elbow - combined wrist extension with forearm supination elbow extension. As always, See your local golf pro!